We’re still two and a half weeks away from Parliament’s resumption, but the wheeling and dealing is in full swing. It was pretty clear something was in the works when former Speaker Harry Jenkins retired and Coalition MP Peter Slipper took his place. The buffer provided to Labor’s numbers in the House was too good to be true – they had the option now to get out of some sticky situations without risking their hold on government. Not least of these potential issues was poker machine reform. Bringing in legislation to fight problem gambling was crucial to securing Tasmanian Independent member for Denison Andrew Wilkie’s support in forming goverment – but the campaign mounted by Clubs Australia was immediate, well-funded and brutal. You couldn’t have missed the signs if you went anywhere near a club or pub – giant cardboard stand-ups shrieking that the government was going to make us purchase a ‘licence to punt’, that local kids’ sports clubs would be deprived of dressing rooms and uniforms. Our whole Aussie way of life would be threatened! The reality, of course, was that Clubs Australia was flatly lying. The proposal was for mandatory pre-commitment technology – which is a fancy way of saying ‘individual smart cards that limit how much you can spend in total at any one time’. Along with this, more money for programs designed to help problem gamblers and the possibility of limiting just how big your bets can be via so-called ‘low intensity’ machines, which impose a maximum bet per spin and carry a much lower jackpot. Nonetheless, the scare campaign was effective. Labor backbenchers, particularly in New South Wales, started seriously worrying about their chances for re-election as Clubs Australia brought pressure to bear on them as individuals. The Opposition chimed in with their own head-shaking and tut-tutting about ‘draconian reforms’ and ‘nanny states’. By the end of 2010 – if you’ll forgive the metaphor – the smart money backed the idea that Labor would find a way to renege on the Wilkie deal, and still retain government. Prime Minister Julia Gillard, accompanied by Families and Community Service Minister Jenny Macklin, delivered the deathblow today. Instead of introducing legislation that would mandate the installation of pre-commitment technology in poker machines across the board, the government announced a trial of said measures – that won’t start until 2013, and will be carried out only in the Australian Capital Territory. Just in case the trial has a good result – in other words, tallies with what the Productivity Commission has already recommended and the experience of other countries has shown works – new machines built after next January must have the pre-commitment software already installed. Not activated, mind you. That won’t happen until at least 2016 – in other words, well after the next election. Gillard also ruled out imposing bet limits or mandating low-intensity machines, on the grounds that installing the necessary software in existing machines would be far too expensive. Never mind that it would be a matter of modifying existing software, which is far less expensive than complying with the stringent rules surrounding the implementation of entirely new software in poker machines. Almost as an afterthought, she announced a daily $250 withdrawal limit at ATMs located in venues with poker machines. Oh, and there’ll be warning signs on the pokie screens. It’s all about ‘the realities of minority government’, Gillard lamented. We had to make compromises on carbon pricing, and we just have to do the same thing here. She asserted that she knew legislation could not pass the House, and therefore wasn’t going to make the attempt. Unlike carbon pricing – which Gillard repeatedly said she would establish – this is an unequivocally broken promise. Actually, it goes further – it’s breaking the written contract she signed with Andrew Wilkie in return for his support. This is exactly what happened when the Coalition reneged on its contract with the Independents to re-commit votes and pair the Speaker. Wilkie repeatedly warned that he would withdraw support if Labor did not live up to its undertakings. Gillard’s called his bluff, and now the ball is in his court. Even if he does follow through on his threats, it won’t necessarily endanger the government – Wilkie’s already made it clear that he would not automatically support the Opposition, nor that he would always vote against the government in no confidence motions. So what would it mean? For the government, it puts them back in the same situation as when Harry Jenkins was Speaker; holding onto power by the slimmest of margins. A single vote against them by an Independent or Greens MP could be enough to defeat legislation. It would be a case of ‘second verse, same as the first’. The implications for Wilkie are far more profound. In his negotiations with both major parties, and in his personal conduct in Parliament, he’s shown himself to be relentlessly ethical. He stood up to the government on asylum seeker policy and live exports, and only supported carbon pricing after he was assured that the most financially disadvantaged Australians would be protected. 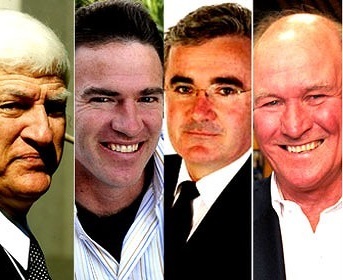 His refusal of Abbott’s lavish offers of funds for his electorate, in favour of wider programs that would benefit the nation as a whole as well as his own area, sent a clear message; this was someone who support could not simply be bought. Now he’s in a position where he needs to demonstrate that he’s also someone who can’t be taken for granted, or dismissed. If he withdraws support from the government, he risks being forever branded as the man who prevented pokies reform – regardless of the truth of the matter. If he doesn’t, he becomes a target for the Opposition, who certainly won’t hesitate to brand him an opportunist at best, a Labor lackey at worst. When Wilkie signed his deal with Labor, I wrote that he was shaping up to be the government’s conscience. Now we’ll see whether he can resist the temptation to settle for a watered-down, toothless version of his dream reform – or whether he’ll remind the government that agreements work two ways, and that there are consequences for treating written contracts are optional and dismissing individuals as undeserving of their fidelity. Wilkie just announced that he has withdrawn support from the Labor government. He will no longer guarantee to pass Supply bills or back the government in no confidence motions. 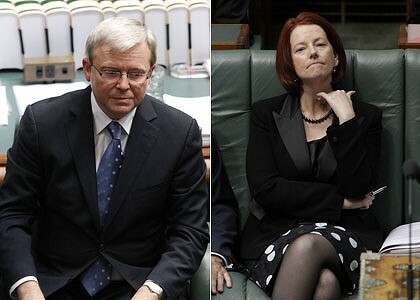 His agreement with Gillard, which he described as ‘a pact with the Australian people’, was specific; ‘a deal’s a deal. Our democracy is much too precious to trash with broken promises and back-room deals’. He stated that he had ‘no option’ but to withdraw support, and went on to give the Labor government a thorough serve. Being able to trust politicians is even more important than poker machine reform, he added. He added that he will not block the government’s proposed pokies legislation, even though it falls well short of the agreed measures. Rather, he will treat it as a first step, and continue to work for real reform. Watching his media conference, it was clear that this was difficult for Wilkie. He said he held out hope that the Prime Minister would honour the agreement, even as late as last night. He said he’d kept faith with his undertakings, even to the point of passing a Budget containing Social Security changes with which he disagreed. His disappointment and disgust with the government was unmistakable. Even then, he praised Gillard for making a minority government into a workable institution. There was nothing grudging or half-hearted about it, either. No doubt the Opposition will leap upon this announcement with glee. Expect Tony Abbott to crow that this is the consequence of Gillard ‘dudding’ Wilkie, as she apparently ‘dudded’ the rest of us on a whole slew of other issues. In fact, expect the Coalition to cruise on this all the way through to when Parliament resumes on the 7th of February. And let’s face it, the chances are good that Abbott’s pontifications are likely to get more air time than anything Wilkie can say. But here’s what’s important: today an elected representative refused to compromise his ethics. Wilkie proved himself a man of his word when it counted. That’s a rare trait in a politician; and it shouldn’t be. Wilkie demonstrating good faith should not be a cause for comment, but as our Parliament stands, he’s the exception rather than the rule. He’s a man with both idealism and integrity … and perhaps instead of regarding that as naive and a little bit cute, we could admire it and expect the same standard of behaviour from the rest. Because it won’t happen until we demand it.